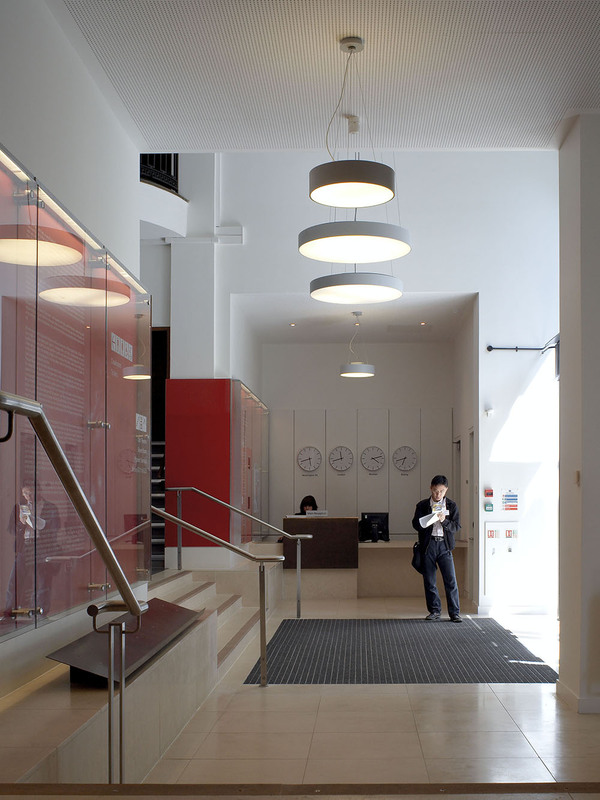 Design Engine have completed the remodelling of the main reception of the Old Building, off Houghton Street, WC2. This is the main entrance foyer to the LSE and its famous Theatre, which was in need of a major transformation to meet current security, access and wayfinding improvements. The project, which was won in competition, includes a new green room for the theatre, toilets, reception and split-level waiting areas. Central to the scheme are glass cabinets, which clad the existing walls, offering information, signage and inspirational extracts from luminaries’ speeches given from the theatre.